Bit of a (hopefully interesting) discussion post about condensers. There are two main types of condenser used at distilleries: ‘Shell and Tube’ condensers and ‘Worm Tub’ condensers. The type of condenser used hugely effects the flavour of the whisky, so it’s worth trying to wrap your head around understanding them. Going back thousands of years, people would have cooled the alcohol vapour from their stills for collection by a simple coil surrounded by cold water. This is the same idea used for the ‘Worm Tub’ condenser. They are not used as much today by distilleries, in fact only approximately 15 use them on their equipment. The simple Worm Tub was superseded by the ‘Shell and Tube’ condenser in the 1960’s, from my research it seems that Macduff Distillery was the first to have them installed in 1962/3. Every distillery was using Worm Tubs before that and I think it’s a fair assumption that most distilleries replaced their Worm Tubs with the more efficient Shell and Tubes between 1963-1972ish, although little information is actually available on when distilleries swapped over. However, Brora used Worm Tubs and the new Clynelish distillery had Shell and Tubes, this was also the case with Linkwood A and B, with A having Worm Tubs and B having Shell and Tubes, so it’s not difficult to imagine that distilleries all around Scotland were swapping over in the late 1960’s-early 1970’s. The design of the Worm Tub is essentially a tapered copper coil coming from the end of the Lyne arm to the spirit receiver. The coil is surrounded by a vat of cold water that is pumped in at the bottom and is allowed to overflow at the top. The end coming from the still is quite large and the diameter decreases slowly as the coil descends (from 400mm-75mm typically). The spirit coming into the coil condenses slowly as the coil tapers and the water becomes colder towards the bottom. This causes the spirit to interact much less with the copper of the coil, but just enough to leave deposits (copper sulphate I assume) that are not stripped off. As the Worm Tub continues to be used, these deposits will keep developing, causing less reaction with the copper over time. Unfortunately, Worm Tubs are much harder to clean and repair. Often they can get small leaks, meaning that spirit is lost into the water of the Tub. The result: A much more oily and full bodied new make that will contain a lot of volatile sulphur compounds (which can often come across as ‘meaty,’ ‘rubbery,’ or ‘dirty’ in flavour). The design of a ‘Shell and Tube’ Condenser is very different. The shell is an empty tube that the spirit vapours can pass to and the tube is actually tubeS. 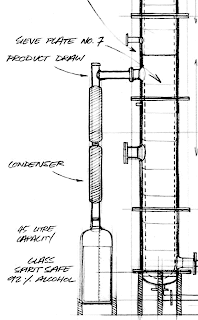 Many small tubes run from the top of the condenser to the bottom, normally around 30mm in diameter and 2.5-3.5m in length. The small tubes are all pumped with cold water from bottom to top. A small condenser might have 150 of these tubes, a large one 250. The spirit vapour coming into the ‘Shell’ will hit the tubes running through the condenser and will condense. This condensation releases latent heat which will force interactions between the spirit and copper, removing unwanted sulphur compounds and dissolving some copper into the spirit. This last part is important because the copper is kept clean by the constant reactions and is left clean for more reaction to take place. They are also much easier to clean and replace parts if there are problems. This results in a cleaner new make spirit with very little sulphur compounds that would affect the flavour (Any left in the spirit can then be removed by maturation). I’m sure there are other closed distilleries that used Worm Tubs, but can’t find any others. What is interesting is that of these distilleries, most of them are owned by Diageo. I would have thought that with the invention of the more efficient and less costly Shell and Tube, Diageo would have completely replaced the Worms. There are also those who have experimented with Steel condensers. Again, little info is available but I assume that these follow the design of the Shell and Tube but made of steel instead of copper. 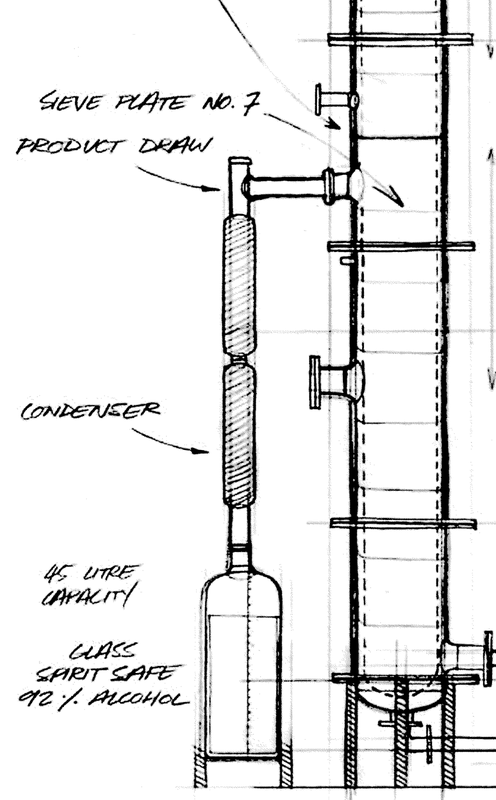 The idea was to create an efficient condenser but allowing the more sulphury style of spirit to come through like in a Worm Tub. Interesting stuff, although mostly behind the scenes I think. Dailuaine used steel condensers from around 2003 to 2006, when they went back to copper. 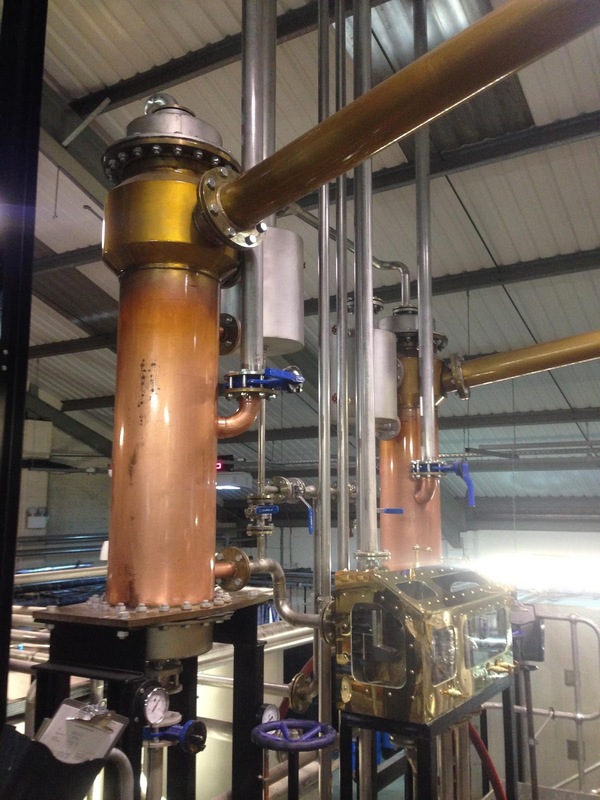 I have heard reports that other distilleries experimented with the steel condensers but quickly but quickly went back to what they had previously. Roseisle and Ailsa Bay are currently the only distilleries I can find that still uses steel condensers. Interesting, given that they are both very large and that almost all the output from both will never be drunk as single malt. Roseisle use them as an option on some of their stills some of the time. All of it goes into blends. Ailsa Bay have 4 steel condensers, 2 on wash stills and 2 on spirit stills, but again they produce a variety of whiskies mainly for blending.